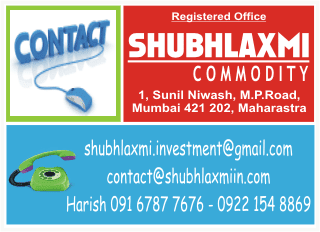 MCX Zinc had fallen sharply in the month of September. From the high of Rs136.90 it reached the medium-term rising trend line. The base metal found support near the trend line. Near that trend line it formed a bearish flag pattern. Recently the pattern has broken down and the price started tumbling down. However, the fall is breaking up into lower degree waves. The commodity bounced towards its key daily moving averages and has started the next leg down. The daily momentum indicator is in bearish mode. The short-term targets are Rs113.50 - Rs110. The reversal can be placed at Rs118.80.